The testampoules of the firm HerbaLux are only suitable for diagnostic and therapeutic purposes in their original condition. Any abuse leads to loss of information. The manufacturer doesn't take responsibility for this. 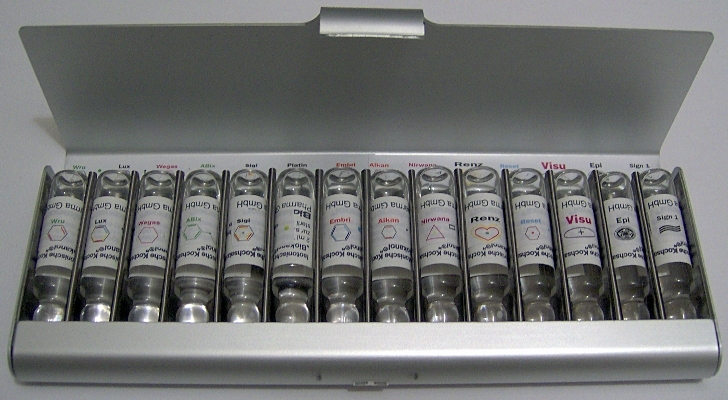 The introduction of testampoules into other media, like water or light, leads to the loss of information as mentioned above. The ampoules are then no longer usable. The ampoules must remain in the test set during transportation and are only allowed out of their custom-made housing during testing. The seen image of the product may be different from the actual one.